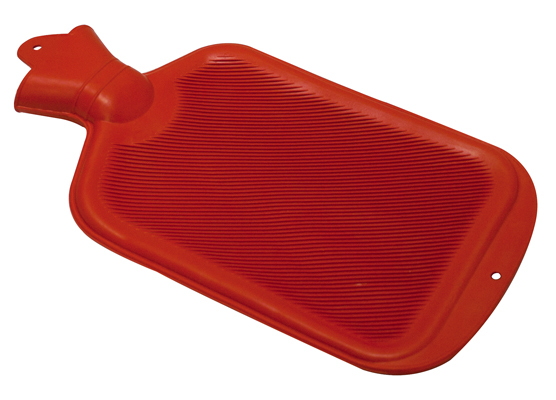 Hospital grade rubber hot water bottle with screw stopper. 2 Quart capacity. Dimensions: 8" x 1" x 6"